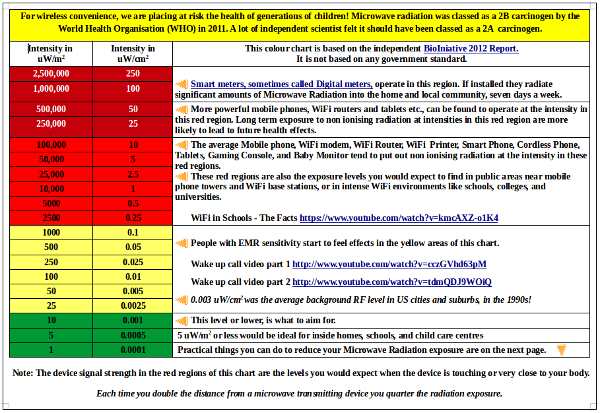 This huge mobile phone recall should be a clear message to members that you need to research the amount of radiation put out by your mobile phone. 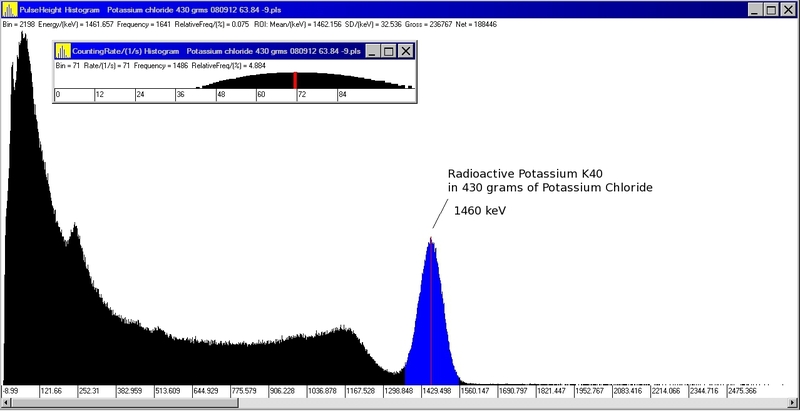 This is called the Specific Absorption Rate (SAR). 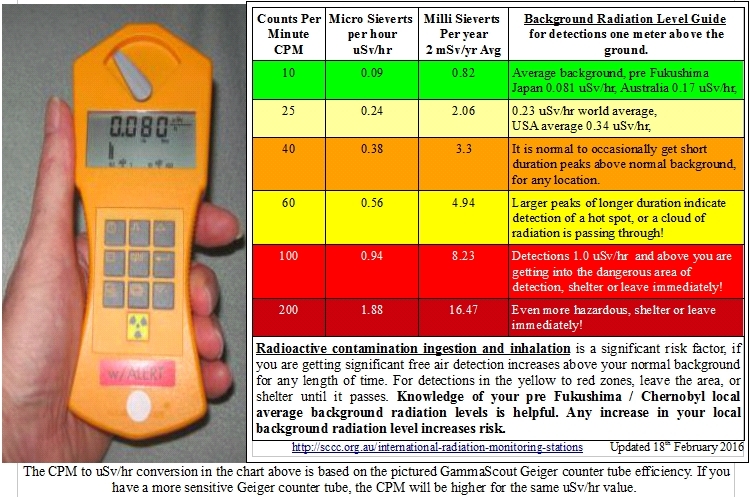 The lower the phones SAR level the less your radiation exposure. 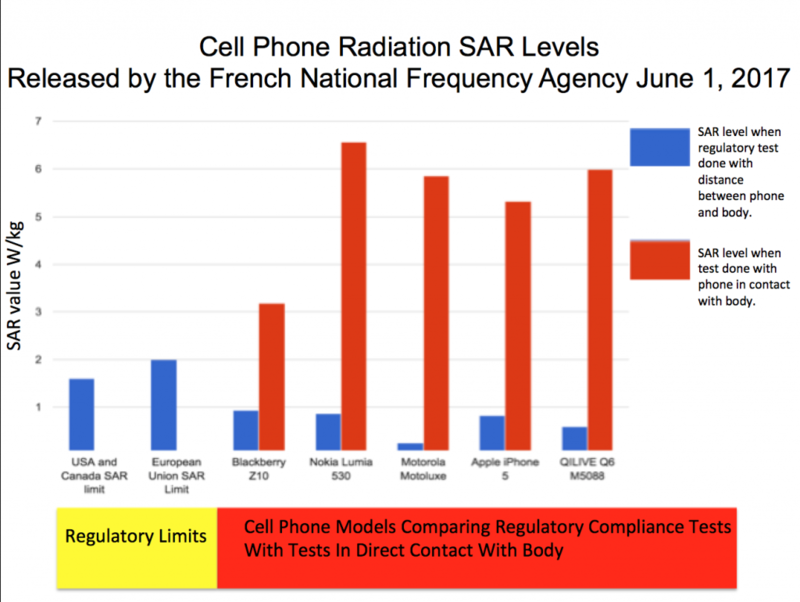 Numerous models recently tested by the French regulator have been discovered to be exceeding by as much as ten times the SAR regulatory threshold when compared to the US standard. This is a massive amount! 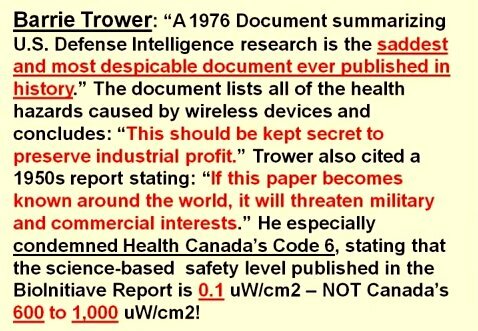 These devices are radiating more than just microwave radiation, they are also radiating very high speed digital pulsed radiation as well. 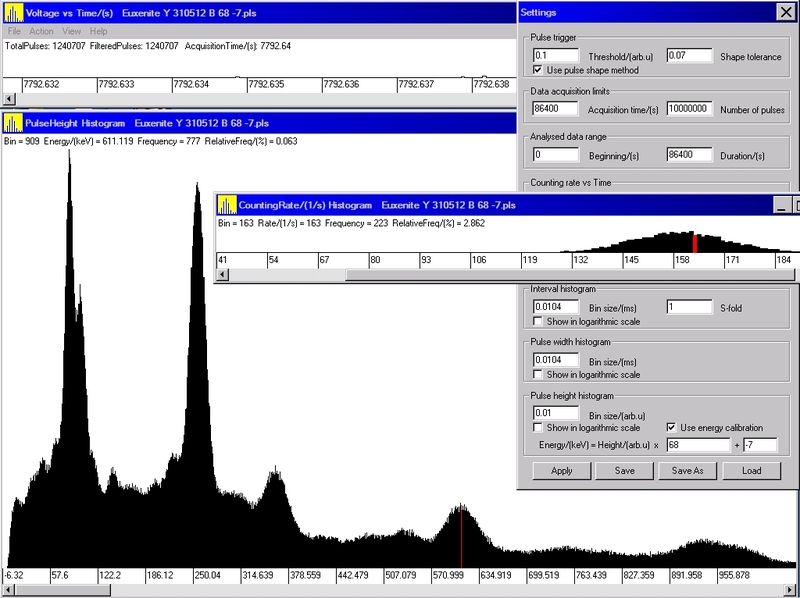 The high speed digitally pulse signal is used for the data transfer between devices or the mobile tower. The the microwave is the carrier signal on which the the data signal rides. As each new generation of mobile phone gets faster, the frequency of the microwave carrier signal increases. To communicate with older generation devices new devices can operate on multiple microwave frequencies 3G, 4G, 5G, WiFi and Blue tooth etc., It is very important to understand how to use the device settings to turn off those microwave bands your are not using. For instance, you may not need to have WiFi or bluetooth turned on all the time. Only turn them on when you need them. If you do this you will greatly reduce the radiation expose from the device. This is covered on page two of the free club safety guide provided below. People are becoming addicted to their need for constant social validation, seeing their worth related to the number of times people communicate with them, through their smart devices. This has become such a huge problem that recent studies are showing that large numbers people and particularly children are now suffering from sleep deprivation, because they take they phone to bed with them. If their not communicating with it, they are in a shallow sleep in anticipation, waiting for the next call! 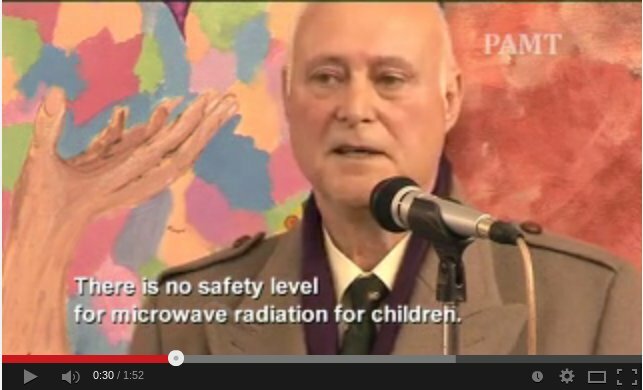 No microwave radiation safety expert with tell you that it is safe for children to use a mobile phone! The SAR regulatory limit is measured using an average American 25 year old male's head size. A child's heads and body size is much smaller than an adult male, so they are exposed to a lot more radiation when using any mobile phone. Proportionally their SAR exposure is very much greater! So no children should be using any of these phones. 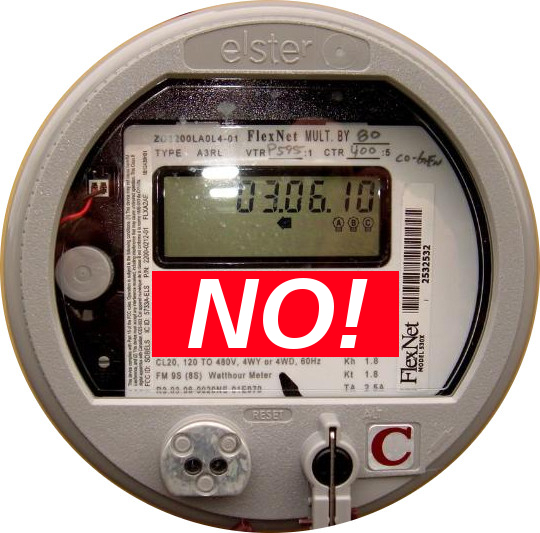 We will not accept the “regulatory” sleight of hand that would leave in circulation hundreds of mobile phones tested by ANFR before 2016 and which present for the vast majority of them, exposure thresholds well above the limit values of 2 W/kg. 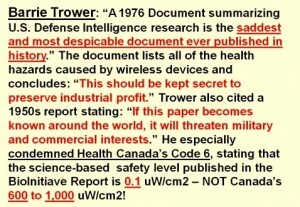 As a reminder, 9 out of 10 phones tested in 2015 exceeded the regulatory limits, some reaching, in terms of the European standard, more than 7 W/kg, or, recalculated according to the U.S. standard, more than 20 W/kg, that is, exceeding ten times the thresholds, posing a risk to the health and safety of users. The club provides this WiFi safety guide to members, if you haven't already downloaded the safety guide below, please do. Page two provides lots of suggestions on how to easily reduce your families microwave and pulsed radiation radiation exposure! You are welcome to share it with friends and family. I have never owned a mobile phone, plus I have the the home hard wired, so we don't use WiFi. I live a much more relaxed life style than the average mobile phone user. Download the WiFi Safety Guide Here. Previous article on this subject. 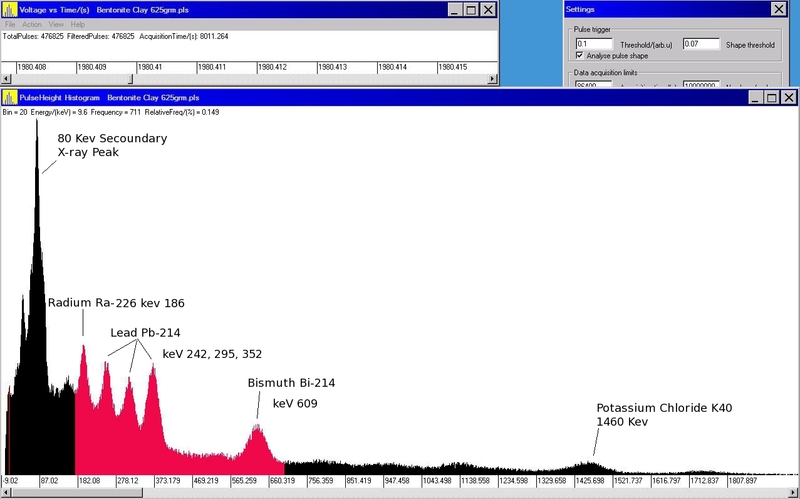 Huge amounts of Ionizing radiation released, and still being released from the Fukushima site, has significantly changed the electrical proprieties of the upper atmosphere. 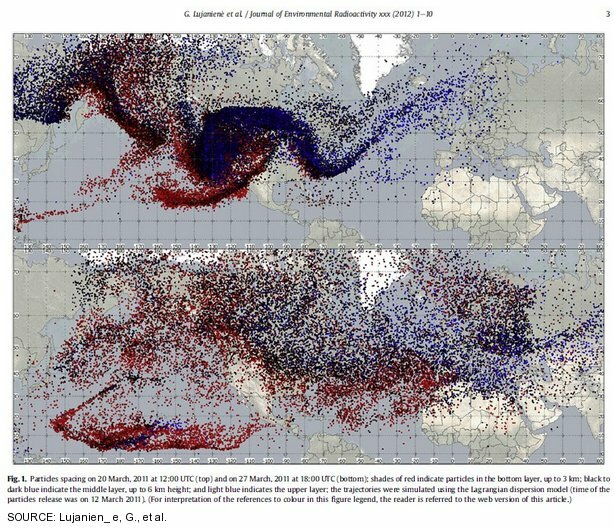 This has significantly altered the way solar wind energy is now distributed through earth's atmosphere. Added to this, the earth's magnetic field has weakened by 20% already, and appears to be weakening by around 10% per decade, plus this weakening may accelerate in the coming years. Here are links to lots of useful Internet services that will allow you to monitor environment conditions, plus provide you with information on preparations you should consider putting in place. Slimjet is a fast, smart and powerful alternative web browser built on top of the Chromium open-source project (on which Google Chrome is also based). It adds extra options to Chromium to make it more flexible and customisable. It also integrates additional features into Chromium so that users can get more done in less time without relying on external plugins. Almost all of the features in Chromium have been kept in Slimjet to ensure compatibility. Most plugins and extensions designed for Chrome should work just fine in Slimjet. You can install any extension and theme from Chrome web store directly onto Slimjet. One feature that I like is the ability for links in Slimjet to automatically open in a new tab. The most important feature adopted from Chrome is site isolation. Site isolation is an experimental security feature that offers additional protection against some types of malicious attacks from compromised web sites. It makes it harder for them to access or steal information from your accounts on other web sites. Web sites typically can’t access each other’s data, thanks to code that enforces the Same Origin Policy. Occasionally, security bugs are found in this code and malicious web sites may try to bypass these rules to attack other web sites. The Chrome team aims to fix such bugs as quickly as possible. Google’s site isolation feature improves security for the users of the Chrome browser, and other browsers based on it. When you enable site isolation, content for each open website in the Chrome browser is always rendered in a dedicated process, isolated from other sites. This creates an additional security boundary between websites. It appears to be one of the best defences against the Spectre vulnerability, and other hazards from infected web sites such as bitcoin miners. A control window will open with the option to enable Strict site isolation. Left click on that button to enable it. Now you're done. Restart your web browser and site isolation is working. To enable the ad blocker in Slimjet, select "Ad Blocker->Enable Ad Blocker" from the main menu. The same option is also available within the "ad blocker" section of the settings page at slimjet://settings . To configure ad blocker options, select "Ad Blocker->Ad Blocker Options" from the main menu and you will see an options dialog. Select one more filter lists based on your needs. If you visit English sites only, select "English sites". Otherwise, select "English sites" plus any other language you are reading during your surfing. If you are concerned about being tracked by the advertising companies, select the "Privacy Protection List". You can also add any third-party filter subscriptions by specifying its title and URL at the bottom of the options dialog. The QuickFill form filler in Slimjet is designed to replace the default password manager available in Chromium. Compared with the default password manager, QuickFill is more convenient and intelligent. The default password manager saves only the login information including user name and password. QuickFill saves all the data in a given web form. QuickFill also saves the web page url together with the form data so that you can complete the sequence of opening web page, filling login information and submitting the form in a single step automatically. QuickFill is enabled by default in lieu of the default password manager. However, if you wish to use the default password manager instead, turn off the option "Use QuickFill form filler instead of default password manager" in the section "Password and forms" of the settings page. Slimjet has included a list of tracking prevention options to stop the Internet companies and advertising businesses from tracking your browsing activities. However, it's mostly up to the website owner to decide whether they would respect this request. Send a "Do Not Track" request with your browsing traffic Send a "Do Not Track" http header with your browsing traffic. As the largest advertiser on Internet, Google DOES NOT respect this request. Despite being a very popular option among most browsers, it's the least effective one. To access the tracking prevention options, select "Settings" from the main menu to open the settings page. Click the "Show advanced settings" link at the bottom to show the advanced settings. Then scroll down to the "Tracking prevention options" subsection under the "Privacy" section. When you visit a video page on the YouTube website, you will see a "Download Video" image button on the left bottom corner of the playing video. If you just want to download the video file, select the resolution and format from the list box on the left side and click the "Download Video" button on the right side to download the video on the current page. If you wish to download the video file and also extract the mp3 audio file from the video file, check the option "Extract mp3 audio file from video file" first and then click the "Download Video" button. The extracted audio won't be directly accessible from the download shelf in this case. You can locate the audio file under the same folder as the video file using Windows Explorer. The Photo-Salon in Slimjet lets you frame your photos and add other enhancement effects before uploading them to the server. If automatic photo shrinking feature is enabled on this domain, they will be shrunk to the preset resolution as well. How to enter photo salon? To enter the photo salon, just click the option "Process Photo" in the open file dialog where you choose the files to be uploaded. After that, click OK to close the open file dialog and the Photo-Salon will pop up. Slimjet can automatically shrink photos to a reasonable resolution enough for web sharing purpose to dramatically cut down the time required to upload the photos to photo sharing web sites. The default target resolution for shrinking is 1M pixels. Usually no more than 2M pixels are needed since every few monitors have resolution more than that. To configure options about automatic photo shrinking, go to the section "Photo processing" in the setting pages. The option "Automatically shrink photo files to make upload faster" is enabled by default. Click the button "Photo shrinking settings" to set the target resolution on a per-domain basis. Slimjet provides a built-in weather forecast feature so that you can view your local weather condition directly in the browser without opening any website. Use the arrow adjacent to the tool bar buttons to access the option to customise the tool bar (labeled “More tool bar buttons” when you hover your mouse arrow on it). This will open a list of additional buttons on the left side of the dual pane. Just drag the weather button to the right side to install it. All you have to do then is to set up your location information. After that, you will see your local weather condition and current temperature directly on the button. NB! I haven’t covered in this tutorial any of the regular features to be found in Chrome. If you need help with any of them, you can get more information from Chrome’s on line help service. It turned out he had just come from a CT scan at a Sunshine Coast Private Medical Centre. He asked if he should leave? I politely said yes. I spoke to him later outside on the footpath, mind you keeping my distance. It turned out that the medical center hadn't told him squat about what they had injected him with, or given him any warnings or post procedural advice! I was shocked at the levels, and pointed out they should have warned him to stay clear of people, including his wife, and particularly children, for at least 24 hours, plus drink plenty of water for 24 hours to flush it out of his system. So at one metre he was 5.34 uSv/hr, at half a meter 10.68 uSv/hr, and at quarter of a meter 21.36 uSv/hr! If he just happened to hold his grandchild or baby in his arms, well you get the picture, it would be probably greater than 80 uSv/hr. A medical chest X-ray is approximately an instantaneous 100 uSv, but at half a metre, you're getting a full body X-ray every ten seconds, while in the presence of this gentleman! in my opinion the medical profession has become far too complacent in its handling of these highly radioactive materials, and are placing their patients and the public at risk! Children, particularly girls and pregnant women, are far more sensitive to the effects of radiation. 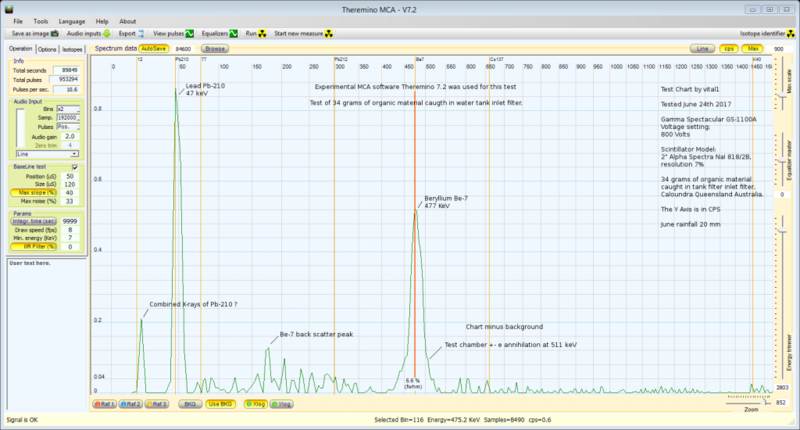 This all happened rather quickly as you can see from the recorded chart below. 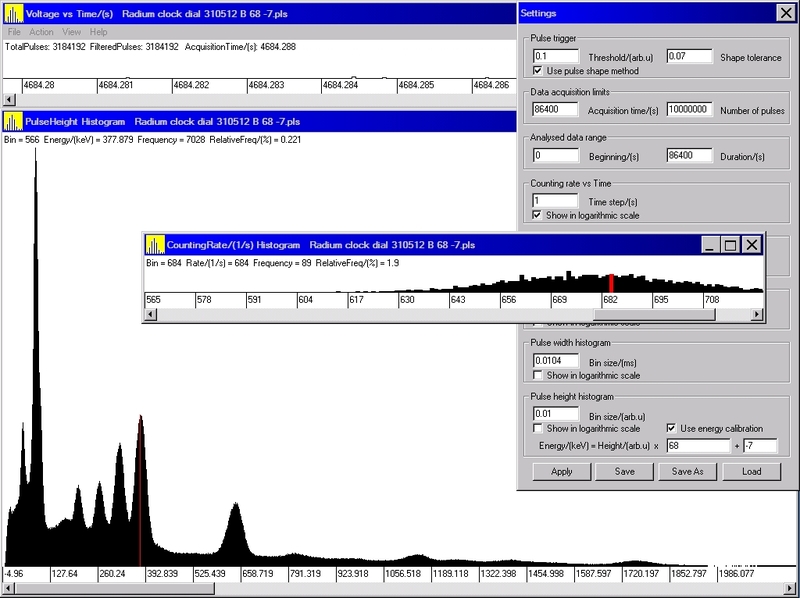 I removed the spike in data out of the day average calculation for that day, as it is displayed Internationally on the Internet. 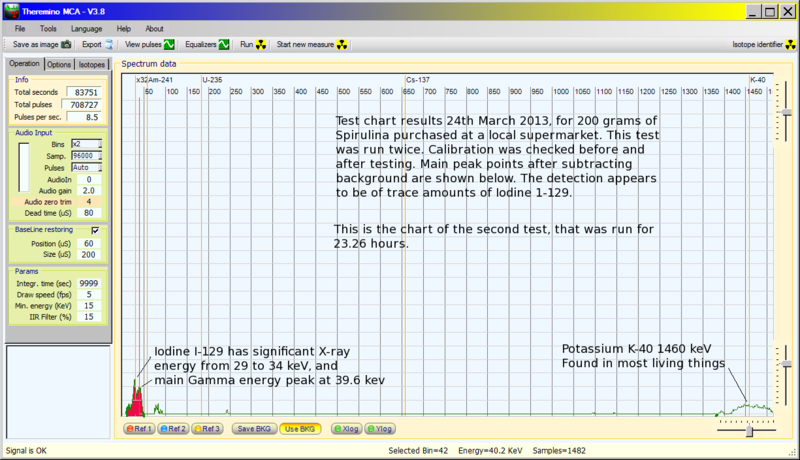 The GammaScout Geiger counter is on 60 second data collection, so it didn't pick up the full peak of my visual observation. This gentlemen was the source of a very high radiation detection, as he had left the hospital the CT scan was not the source of this high detection, but the radioactive tracer he was injected with. CT scans are another source of radiation exposure, and from the information in this recently published "The Western Australian" article , they also pose a radiation risk! "An estimated 430 Australians die each year from cancer caused by exposure to X-rays but experts are particularly concerned about the higher doses of ionising radiation from CT scans. A single CT scan of the abdomen or pelvis gives a one in 1000 risk of developing fatal cancer - the same risk of being killed on WA roads over a 10-year period. The risk increases for each CT scan." There are often safer alternative diagnostic tools that can be used for some medical tests, like an MRI or ultrasound, instead of a CT scan. 1. 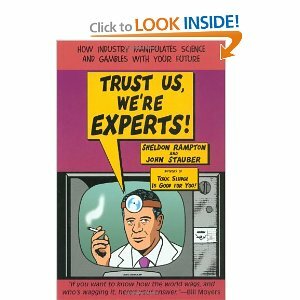 Medical staff should tell you what they are injecting you with! 2. If it is highly radioactive material, they should instruct you on what post procedural actions should be taken. 3. These procedures are important as they will limit the exposure of your family and friends, and very important if you have a pregnant women or your children, in your environment after treatment. 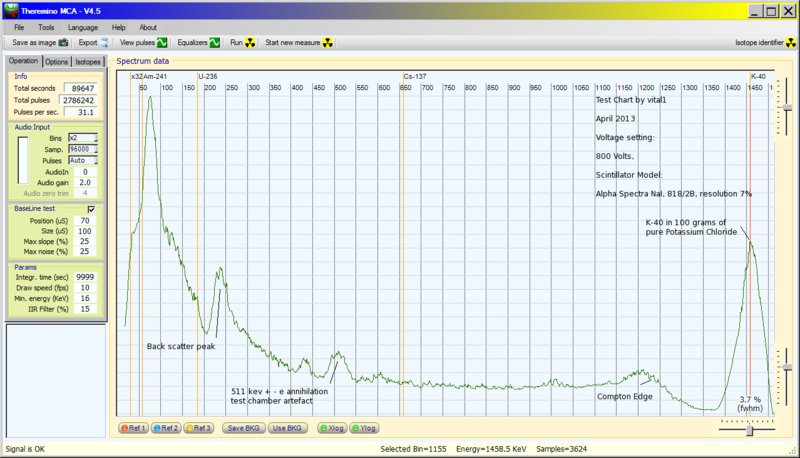 Radiation exposure health effects show up years later after the exposure. Robot technology is advancing very rapidly and is about to start a robot revolution. Robots like Honda's Asimo, can understand commands, can run, jump up and down on one leg, walk up and down stairs, plus kick a soccer ball. Being able to do all these things is quite remarkable. There are a lot of questions and repercussions that will be created by introducing robots into the presently over populated world. It will mean a lot of social restructuring in the way we do things, and present significant social and ethical questions. This robot revolution may not be all good, and could be potentially dangerous to the future of the human race. “Humans need not apply” is a video that presents issues that will effect all aspects of society. At present there is a worldwide effort to develop sophisticated humanoid robots to carry out tasks in highly radioactive areas of the out of control Fukushima nuclear disaster site. It is now over three years and they still don't have control of the Fukushima site, all the latest indicators are it is getting worse. 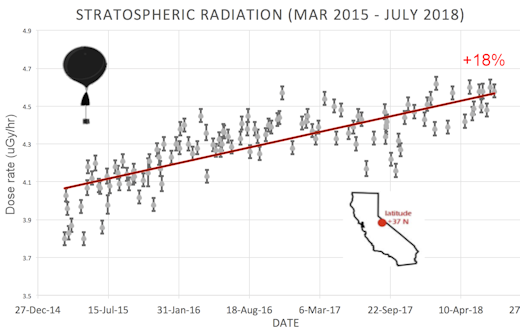 The overall local background radiation level monthly average has dropped gradually from 43% above average in January 2012 to near normal, 3% above in June. This is good news. 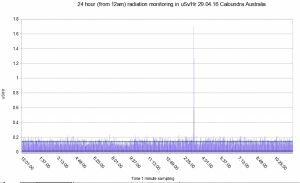 There have been six significant radioactive cloud detections in that period locally. Even though the June monthly average dropped to near normal, two email alert advisories were issued in July to those on the club email alert list. 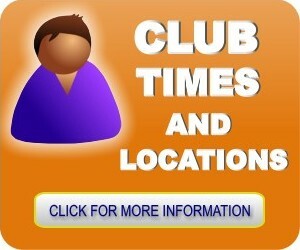 For the full information on these events, go to the club monitoring site. You can easily be added to the email alert list by clicking on email registration link at the top of the page. The club monitoring site is set up very scientifically. 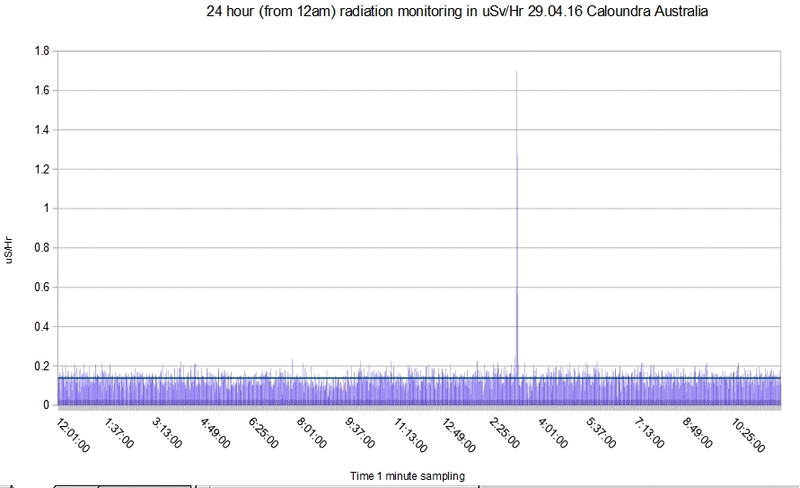 The local background radiation levels are recorded every 60 seconds. After 24 hours it is downloaded onto a computer and then turned into a chart. 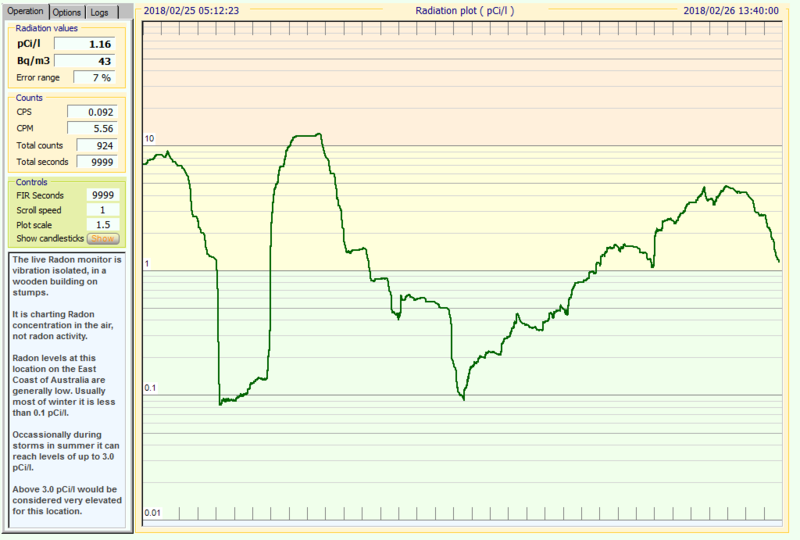 It a significant event has occurred that chart is posted on the club web site. 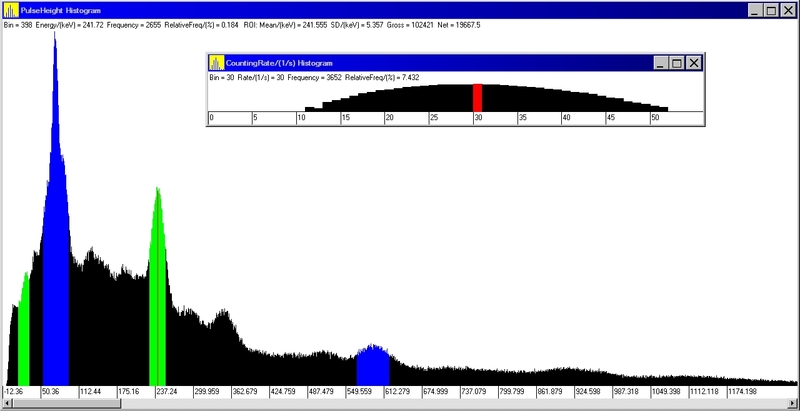 The data in the daily chart is used to calculate the day average, which is also posted to the club web site. At the end of the month, a monthly average is then calculated and posted as a chart to the club web site. There are also lots of tools provided at the club monitoring site. 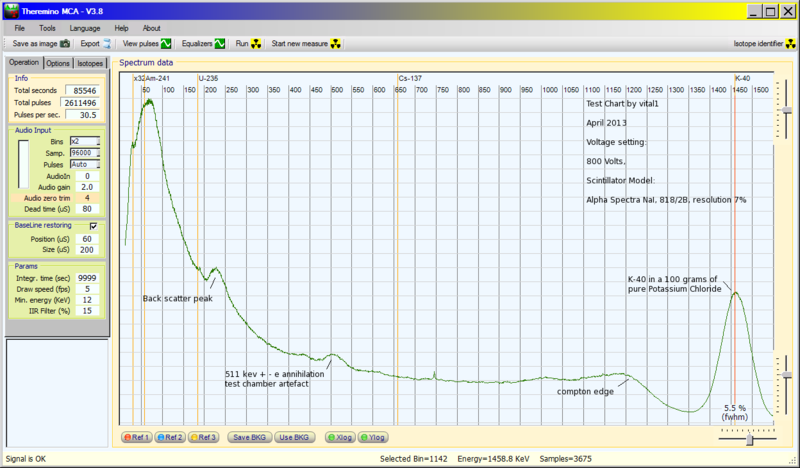 All this effort provides a very detailed long term view of what is happening to local radiation levels. 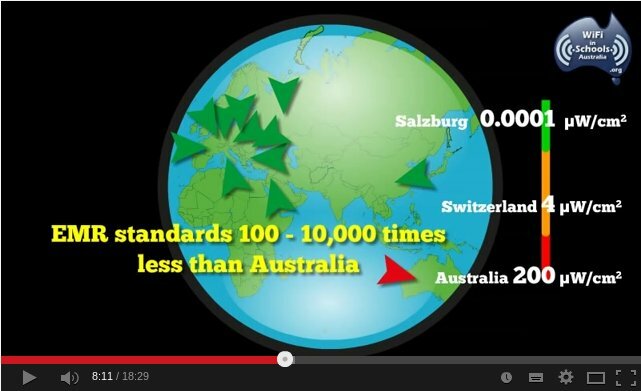 Also we have contact with other people in Australia and New Zealand, who have been using Geiger Counters for 4 years or longer, who provide details of any significant detections they record. This is also posted on the club web site as soon as these reports arrive. All the local detections so far have happened when there have been tropical winds coming down the east coast of Australia, from the north or north east, off the Pacific Ocean. Detections have occurred during rain events, when it has been fine, during solar storms and when there have been no solar storm. So far detecting has consistently occurred when the wind has been coming from the tropics and from the north or north east off the Pacific Ocean, to our location. When there is 5 times normal background detection or more, an email alert is sent to those on the club alert list. At these levels it is wise to stay out of the rain. This is particularly important for children. The monitoring is indoors, so if there is a detection of 5x or above, it means it is probably hotter outside. 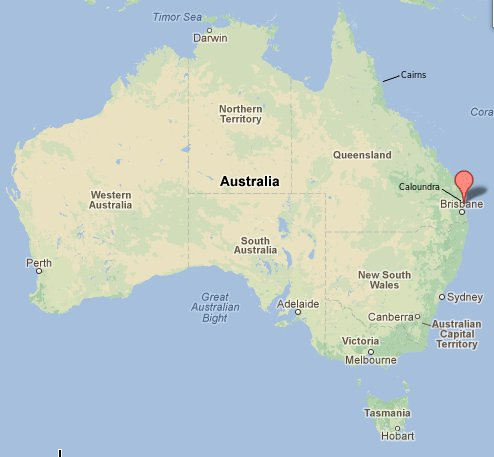 At our location on the Sunshine Coast, our detections have been low compared to other detections around Australia and New Zealand. My advice to locals at present is to avoid northern pacific sea food, plus eat local grown food and restrict travel to Australia. Do your own research and get up to speed on what is happening. This disaster is not over yet, and it is important to keep monitoring it. Club members are fortunate that they have a very detailed informative monitoring station that they can refer to for up to date information on local and southern hemisphere conditions. Our risk level here is still relatively low compared to a lot of other locations in the northern hemisphere, if you take the above suggested precautions. These two free guides are now available for club members to use as a resource. 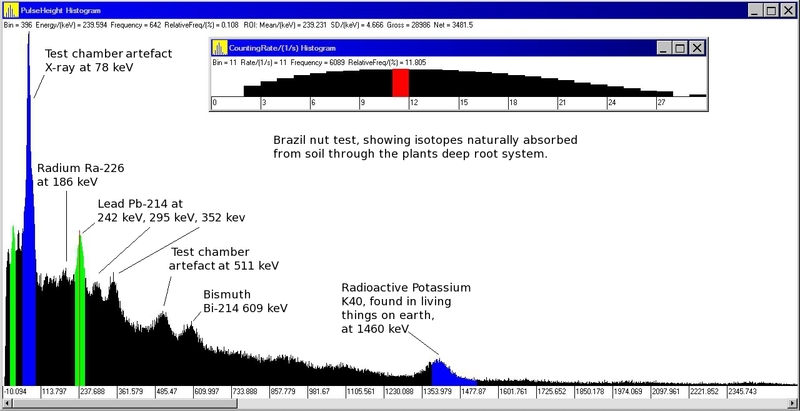 They show you how to use a computer to record and test for radiation in the environment. Years ago it would have cost tens of thousands of dollars to set up this sort of environmental testing. 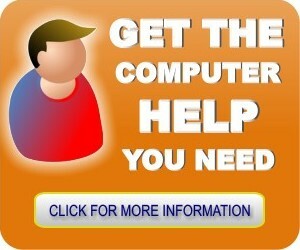 Now using your personal computer, it can be done relatively cheaply. If you intend to travel overseas, or have friends in the path of the fallout from Fukushima, these two guides can be valuable resource. A lot of people in the northern hemisphere have made use of these guides. Why? Because the multiple damaged reactors and exposed fuel pools are still releasing large amounts of radiation every hour. Next month I will provide food testing results. The technology to deal with the Fukushima Nuclear Disaster hasn’t been created yet! The Japanese Government admitted in May 2011 that they had 14 Nuclear reactors that had been seriously damaged, not just the 4 at the Fukushima Nuclear disaster site. "According to Japan’s Nuclear and Industrial Safety Agency (NISA), the earthquake and subsequent tsunami affected fourteen nuclear reactors at four sites along the eastern coast the Fukushima Daiichi site (six reactors), Fukushima Daini site (four reactors), the Ongawa site (three reactors) and the Tokai site (one reactor). The most serious damage occurred at the Fukushima Daiichi Nuclear Power Station." The former Japanese ambassador to Switzerland, Ambassador Murata, recently wrote an open letter to the UN secretary general asking for International help in dealing with this disaster. He felt that the Japanese Government and TEPCO did not have the resources to deal with it as urgently as necessary. The Fukushima nuclear disaster has a potential to seriously escalate into an even worse disaster. It is already many times worse than Chernobyl. He is not the only one calling for Japan to accept international help. US senator Ron Wyden. "Alarmed by the precarious nature of spent fuel storage during his recent tour of the Fukushima Daiichi site, Sen. Ron Wyden, D-Oregon subsequently fired off letters to Secretary of State Hillary Clinton, Secretary of Energy Steven Chu, NRC Chairman Gregory Jaczko and Japanese ambassador to the U.S. Ichiro Fujisaki. He implored all parties to work together and with the international community to address this situation as swiftly as possible." He considers it a US national security issue. 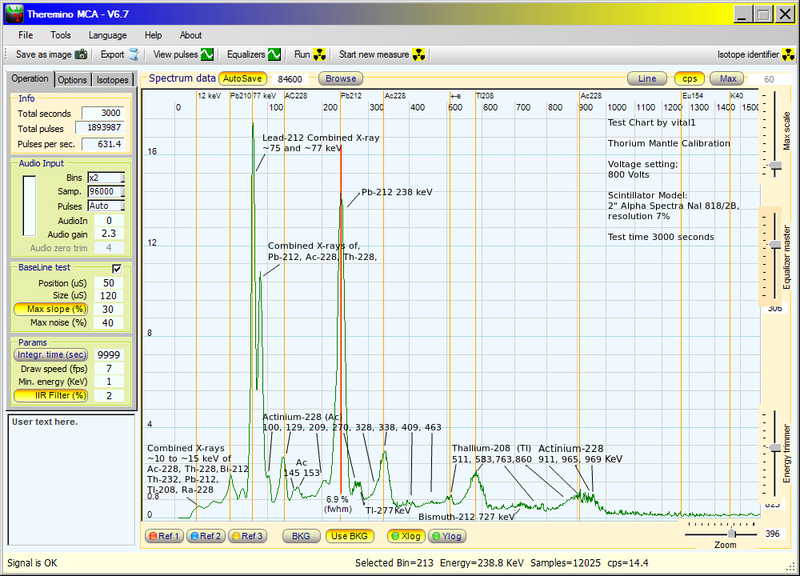 The issue at present is spent fuel pool four, at Fukushima. It has 1535 fuel assemblies sitting 30 meters off the ground, in a building that has been heavily damaged by an explosion, and is leaning. This fuel pools contain multiple nuclear reactor cores. To save money, the nuclear industry all over the world, is storing multiple old reactor cores in spent fuel cooling pools above working reactors. They are only supposed to store one or two old reactor cores in each pool, but they have been tightly packing multiple cores into the cooling pools. 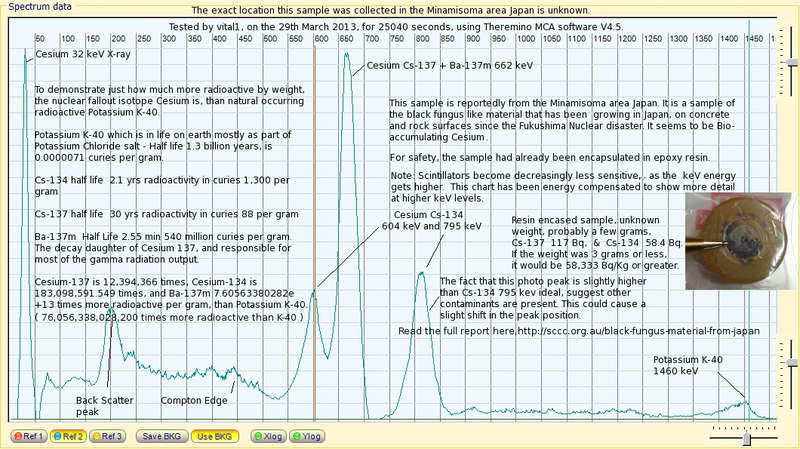 This is what makes the situation is at Fukushima very serious and urgent. The experts are saying that if fuel pool 4 collapses, or drains because of another earthquake, the resultant radiation released will be so great that workers and robots will not be able to enter the site to contain the resultant disaster. With the already 100% melted down reactors 1,2 and 3 in china syndrome, plus another large dry cast storage 50 meters away from this fuel pool, it has the potential to release an unprecedented amount of radiation into the Earth's Biosphere. We already have a study just released, of the children living in Fukushima City. Fukushima City is outside of the "so called" exclusion zone. In this study, after 12 months of living there, they found 35% of the children under 18 had thyroid nodules. This is unprecedented and means these children where subjected to large exposures of radiation. At the beginning of this disaster all these children should have been evacuated! Hiroaki Koide, a Nuclear Reactor Specialist and Assistant Professor at Kyoto University Research Reactor Institute, stated at a New York City press conference on May the 4th 2012, that 20,000 square kilometers of Japan should be evacuated, if Japan was to follow the law. "While traveling in Japan several weeks ago, Fairewinds’ Arnie Gundersen took soil samples in Tokyo public parks, playgrounds, and rooftop gardens. All the samples would be considered nuclear waste, if found in the US. This level of contamination is currently being discovered throughout Japan." For an overall summery of the seriousness of situation, I suggest you listen to this interview on Green Planet FM radio station. You can listen to the interview by clicking on the speaker icon at the top of the page. The interview starts after a bit of an introduction on synchronicity. Radiation bio-accumulates, particularly in meat, dairy and seafood, grown and harvested in radiation contaminated areas. 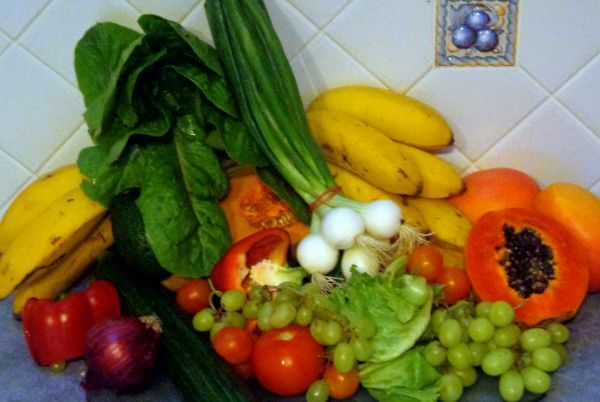 Ingested radiation from contaminated food radiates body cells with high doses of radiation for long periods of time. Bio-accumulation of radiation in the food chain is probably the most serious threat to us living in the southern hemisphere at present. 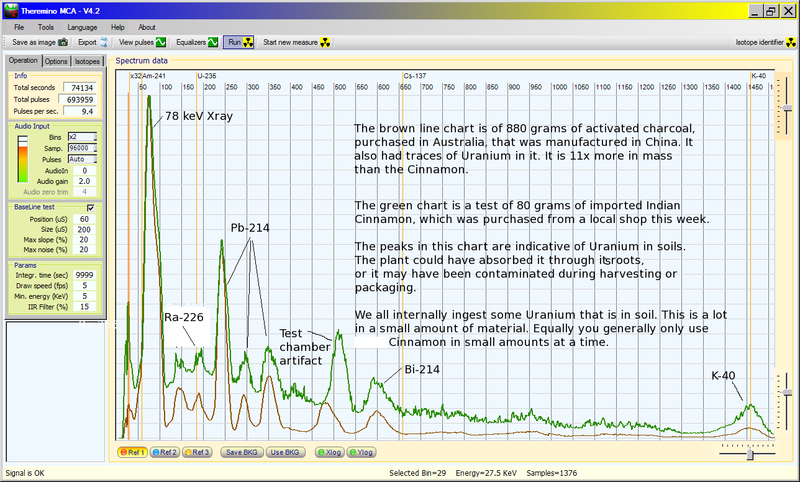 The Food Lab has the latest up to date International reports of radioactive food contamination. It is important for your family's health and safety, that you take the time and effort, to research this subject. In summary, for your family's safety, only purchase food and goods from areas which are not contaminated. Research dietary systems that help remove, or protect your body from radioactive contamination. 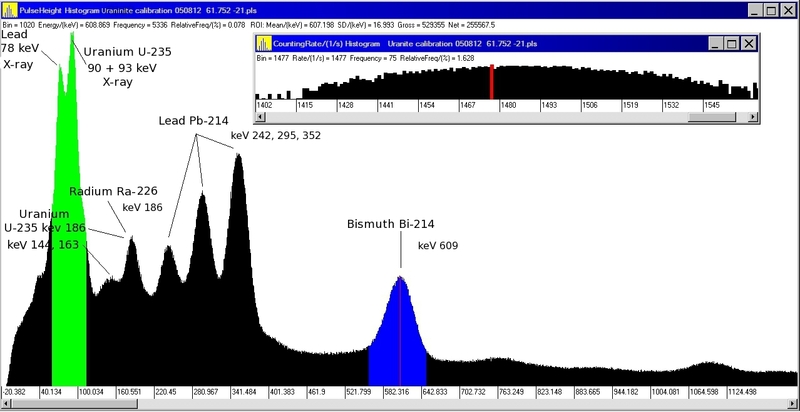 This could be important information in dealing with the extra radiation in our environment. An Oncologist in Japan has been doing ongoing research on the Fukushima Nuclear Disaster site workers, and has found he is getting very good results with Liposomal Vitamin C. It appears to be healing a lot of radiation damage in their bodies. Liposomal Vitamin C is a combination of vitamin C and lecithin. This combination seems to improve the up take of vitamin C by 80%! It maybe a good idea for you and your family to research taking this, to fortify against the effects of these radiation clouds coming through. He has been trying to encourage the Japanese government to educate their people about this treatment. 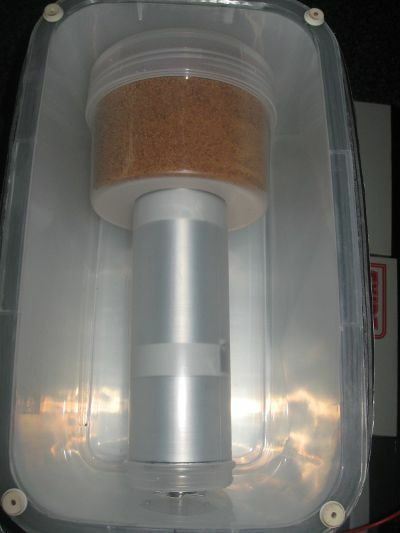 Members can now also get instruction on request on how to use or set up a DIY food testing lab for radiation contamination, or how to use and set up a Geiger Counter.